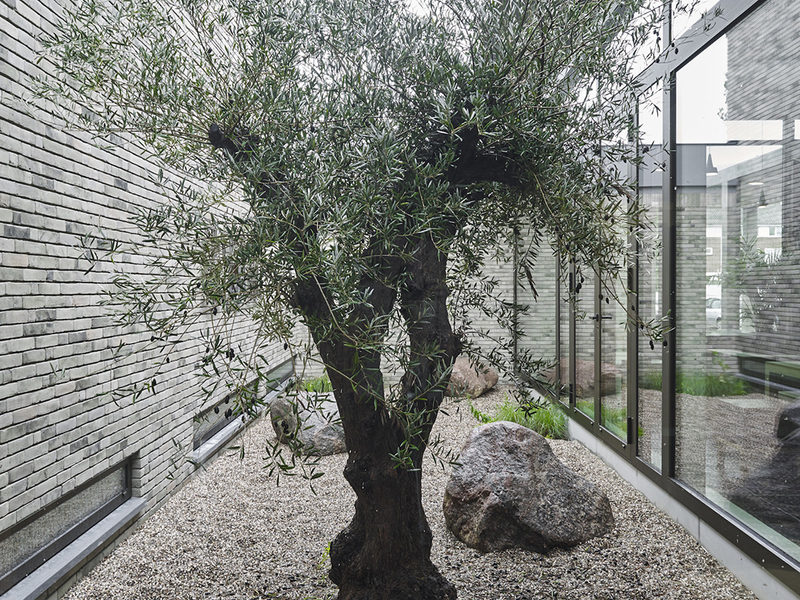 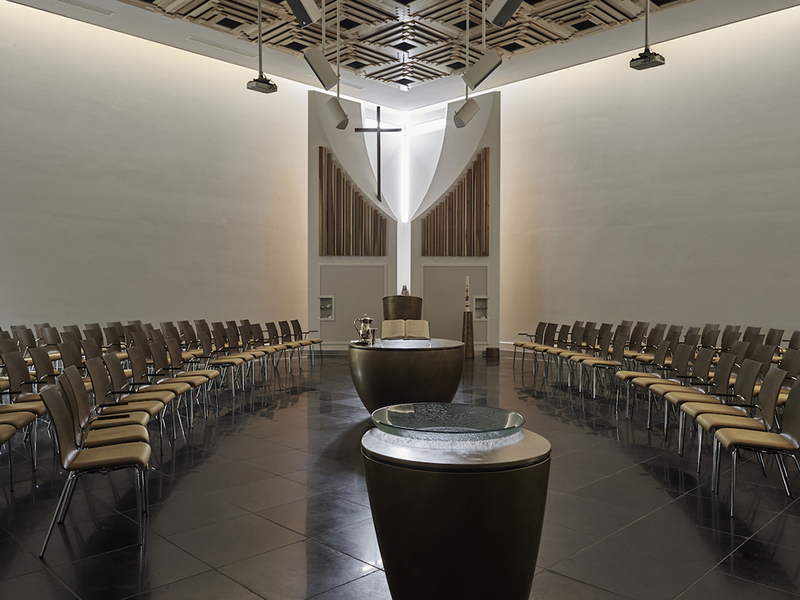 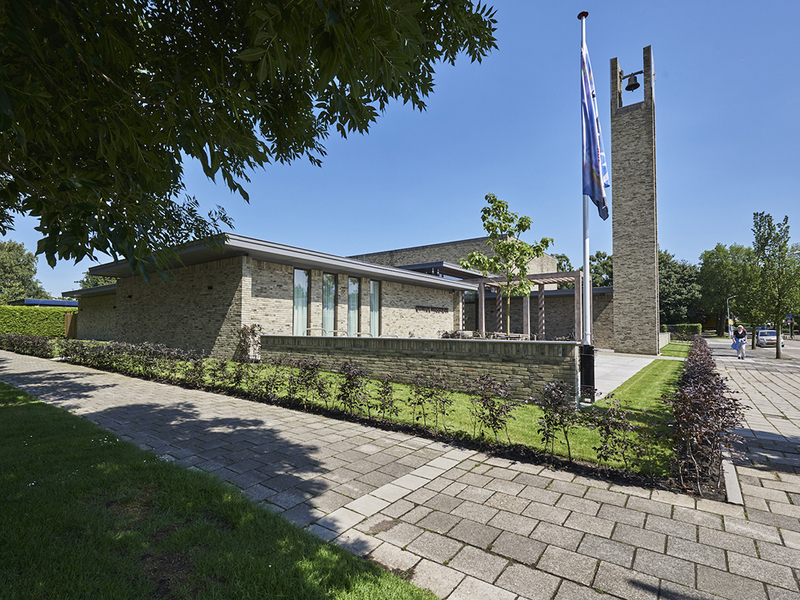 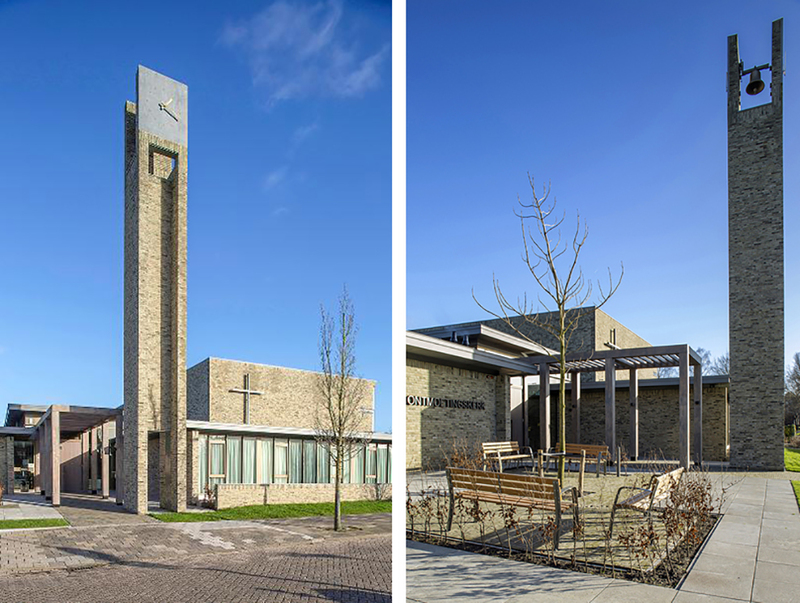 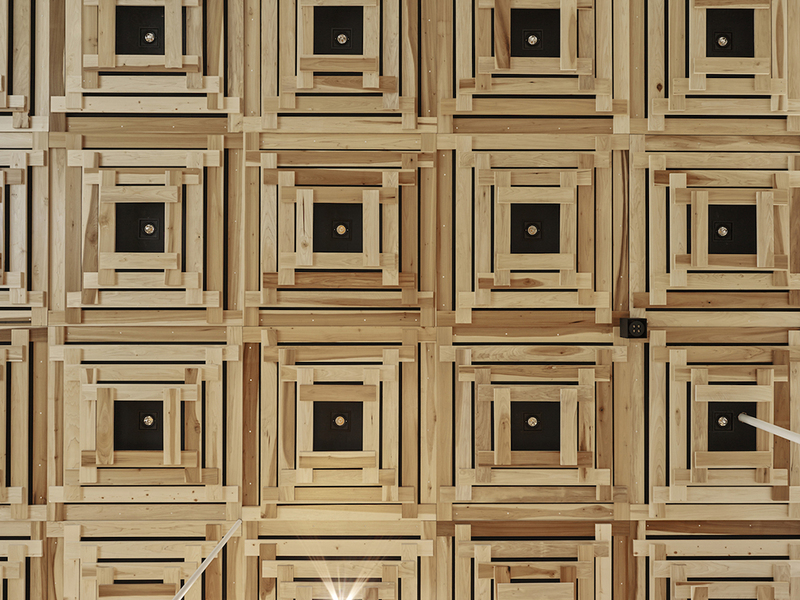 ENZO architecture & interior from Burgerveen has designed a new church for the PKN municipality of Rijsenhout (North-Holland). 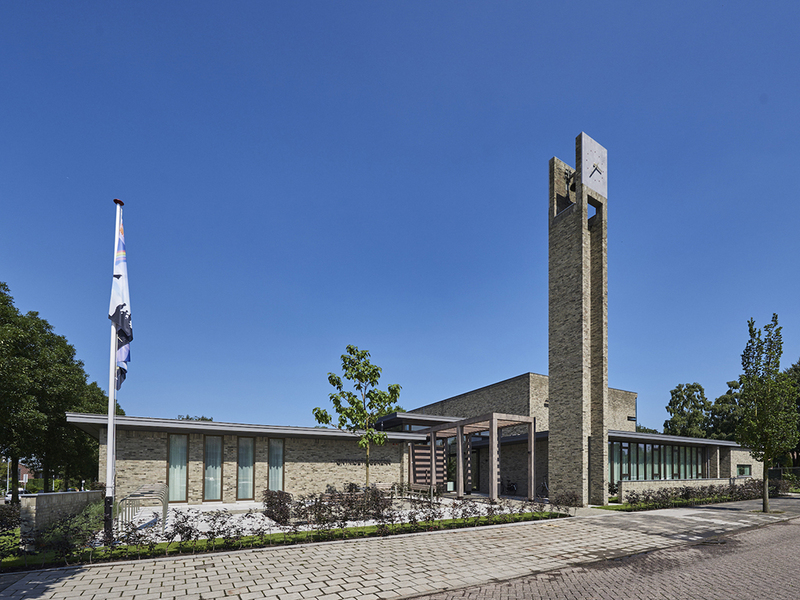 The original building from 1969 had largely been destroyed by a fire in 2013. 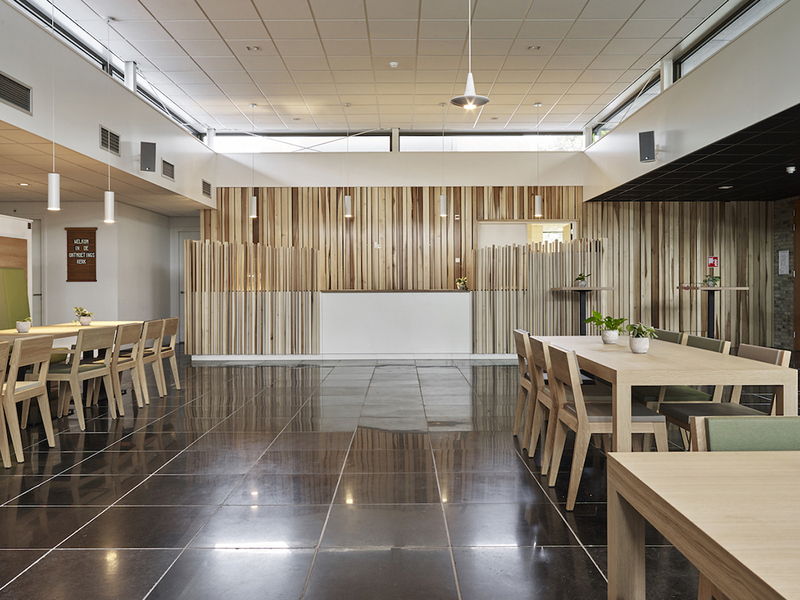 The design is based on two principles: strengthening the qualities of the old building and creating a true meeting area. 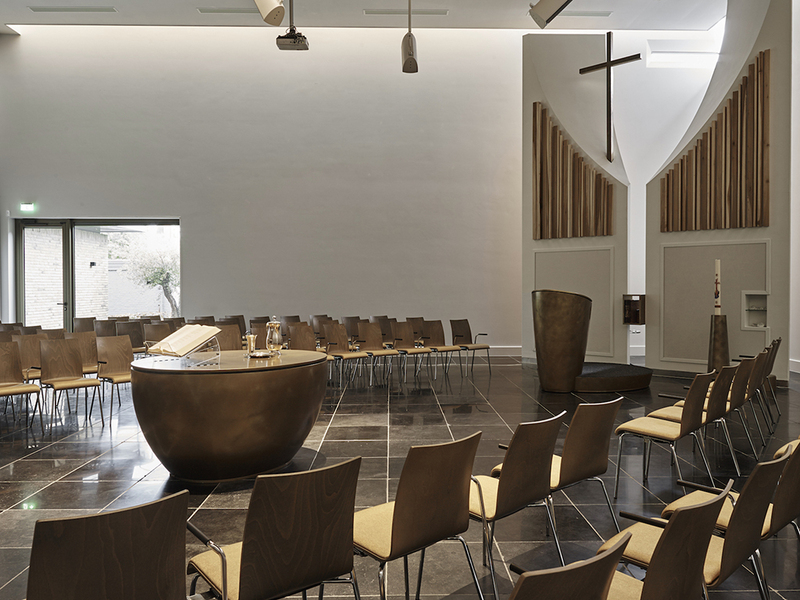 The constructive layers in the floor plan of the old building were given extra emphasis so that now they form the backbone of the church. 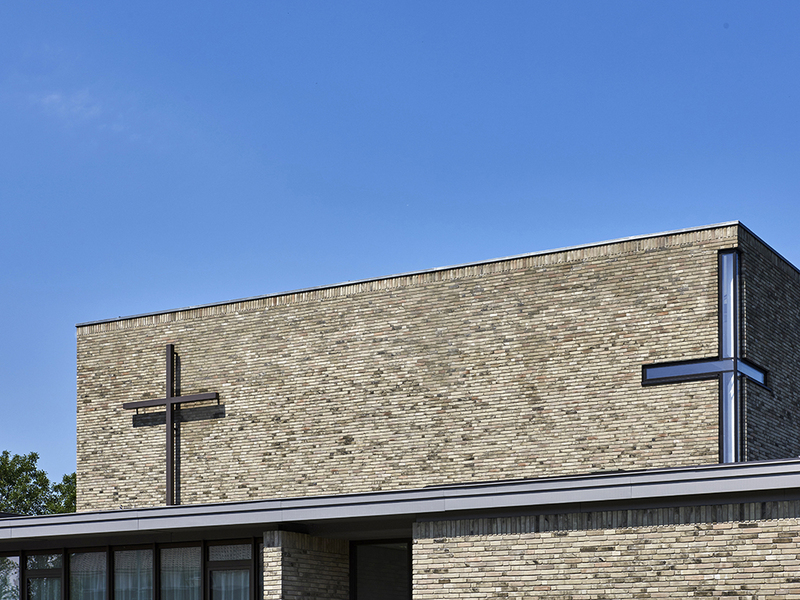 Openings in the facade have been added to allow direct and indirect daylight into the building. 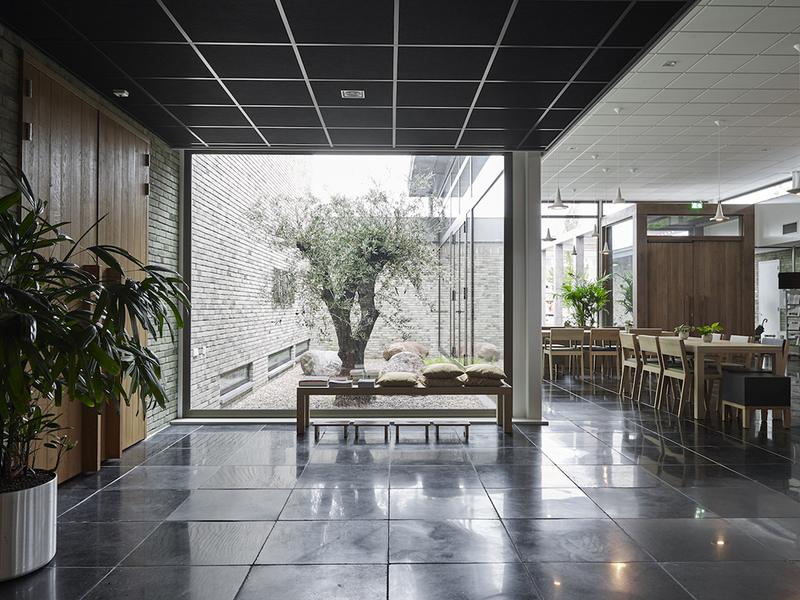 A part of the interior space consists of a calming green patio. 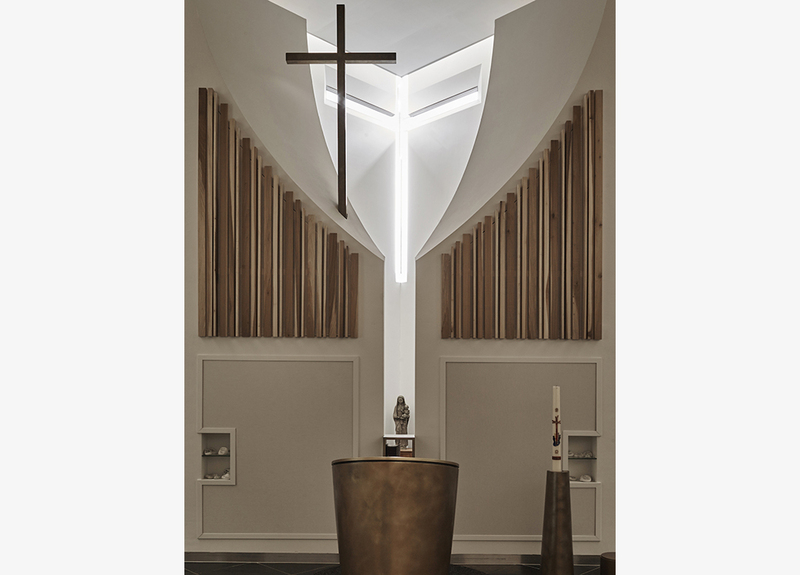 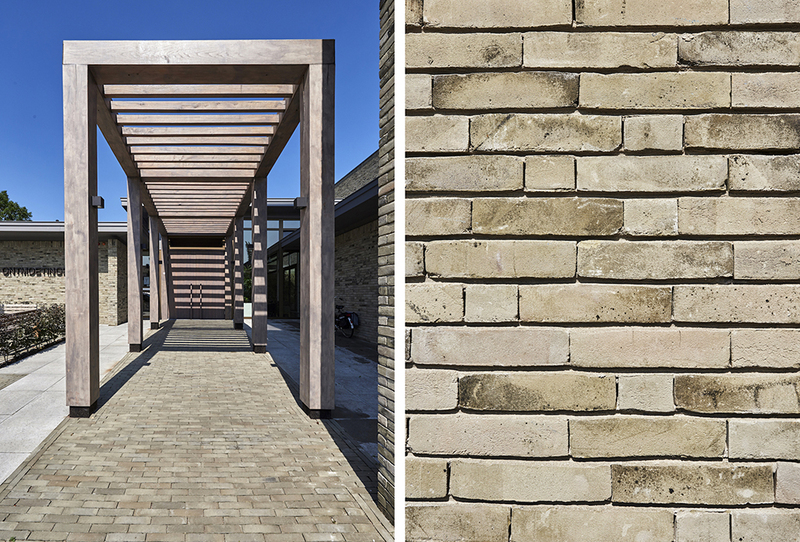 The interplay of lines in the church building is extended to the outdoor space, which was also designed by ENZO architecture & interior. 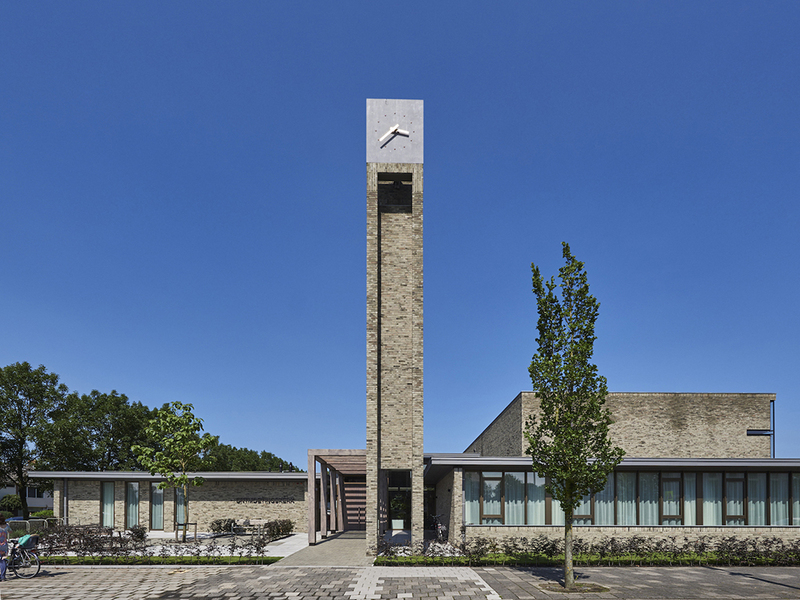 The austere bell tower, for which a building permit had been issued as early as 1969, but which had not been built before, is now a beacon in the village of Rijsenhout.